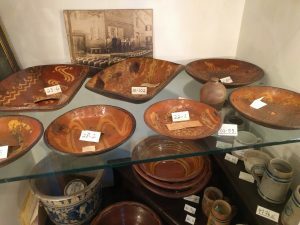 Among the collections that will benefit from the new award are these examples of locally made pottery. The Historical Society of Haddonfield has been awarded a $2,147 matching grant from the Conservation Center for Art & Historic Artifacts (CCAHA) to help us continue to improve environmental conditions for our museum and archival collections. Funded with the generous support of the William Penn Foundation, the award will allow the Historical Society to purchase upgraded climate control equipment, environmental monitors, storage furniture, housing supplies, and UV-filtering film. The Historical Society qualified for the new grant after participating in CCAHA’s Philadelphia Stewardship Program over the last year. The program is designed to help non-profit collecting institutions achieve their preservation and conservation goals and is open to institutions within Philadelphia, Bucks, Chester, Delaware and Montgomery counties in Pennsylvania and Camden County, NJ. 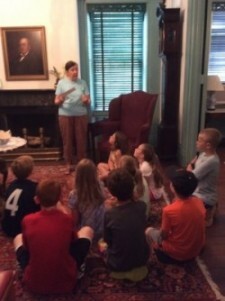 Each year, the Historical Society of Haddonfield hosts visits from elementary schools as part of the school curriculum on local history. Last year, we led tours for ten classes of third-graders as they learned more about Haddonfield’s rich past. This year, we’ll be offering tours for second-grade AND third-grade classes, so we need your help! – Friday March 4 at 1 pm. If you’re interested, please RSVP to Marsha Marshall at info@haddonfieldhistory.org, and let her know which of those training dates would work best for you. Thank you, and if you have any questions, please contact us at info@haddonfieldhistory.org or 856-429-7375. 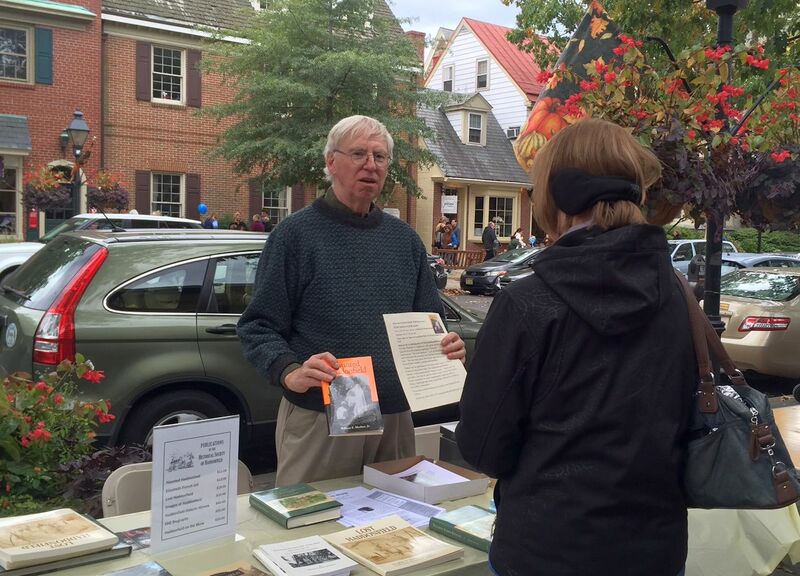 Volunteer Doug Rauschenberger talks about Historical Society programs and publications at the Haddonfield Fall Festival. 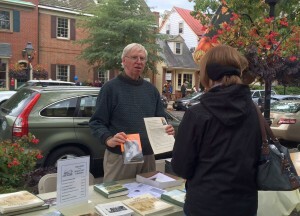 The Historical Society of Haddonfield relies on the generosity and enthusiasm of our volunteers to help us preserve, study, and promote Haddonfield’s rich history. From working in the office to leading tours to maintaining our buildings and grounds, volunteers are essential to our mission. – caring for our tool collection, as well as other museum and archival collections. Please consider getting involved. You can fill out our volunteer form here, and we’ll get in touch to arrange a time to talk further about upcoming opportunities. Just a reminder that the Historical Society will be closed from Thursday December 24, 2015 through Saturday January 2, 2016 (except for a handful of already scheduled research appointments in the Archives Center). Greenfield Hall and the Archives Center will both re-open for our usual “first Sunday” hours on Sunday January 3 from 1-3 pm. Happy holidays, and see you in 2016! #GivingTuesday – Celebrate the History of Haddonfield! December 1, 2015 Uncategorized Comments Off on #GivingTuesday – Celebrate the History of Haddonfield! Help us protect Haddonfield’s rich history for generations to come. The Historical Society of Haddonfield is very thankful to all of our members and the Haddonfield community that has supported us over the years. Your donation today will directly fund the preservation of countless documents, artifacts, and family records. Make a donation today by clicking here, or mail your donation to the Historical Society of Haddonfield, 343 Kings Highway East, Haddonfield, NJ 08033.